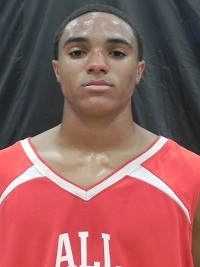 Evaluation: Dartis is a scoring combo guard with very good athleticism and a lot of potential. His jumper and handle are still getting better but he is still able to get to the rim using his physical abilities. Very good in transition, Dartis is a creative finisher around the rim who seeks out contact. Also a good defender, Dartis is known as a competitor who always shows up against the top prospects in the region. Bottom Line: Dartis still needs to improve his skill-set but he’s one of Ohio’s most talented 2015 guards because he’s athletic, has good size and can get to the basket. If his skill-set comes along he’ll be at least a mid-major prospect.